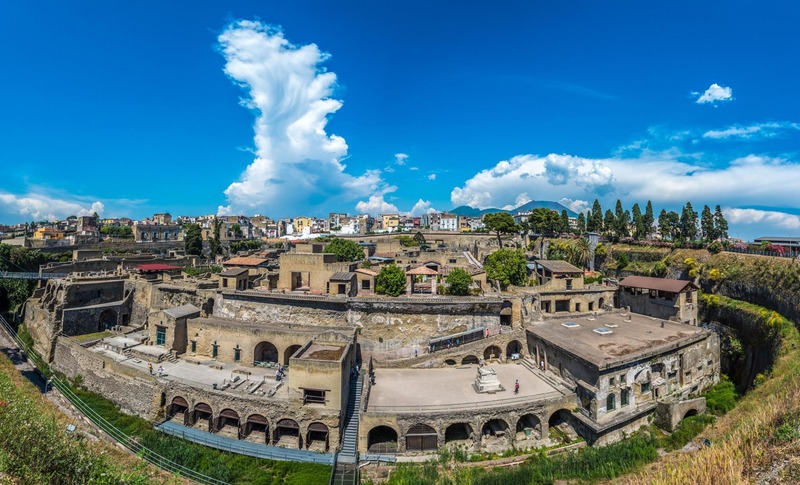 Faced with the archaeological memories of the ancient Herculaneum, you can find the Hotel Herculaneum, recently renovated. 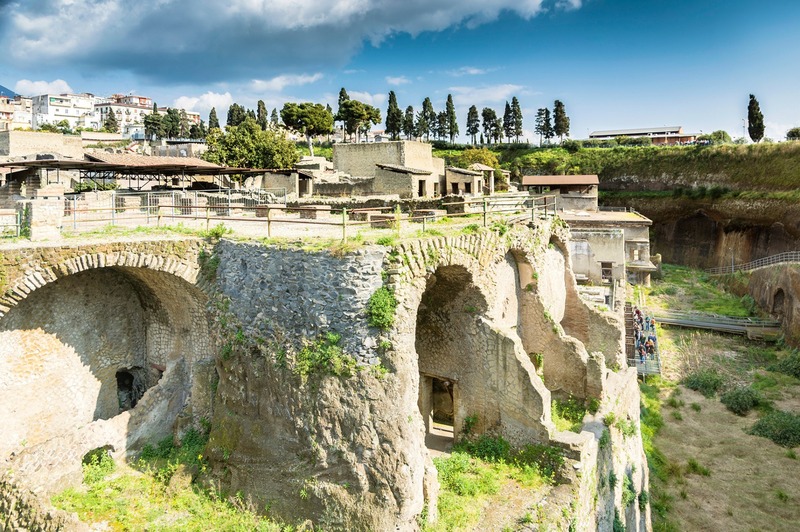 Between the slopes of Vesuvius and the nearby Gulf of Naples. 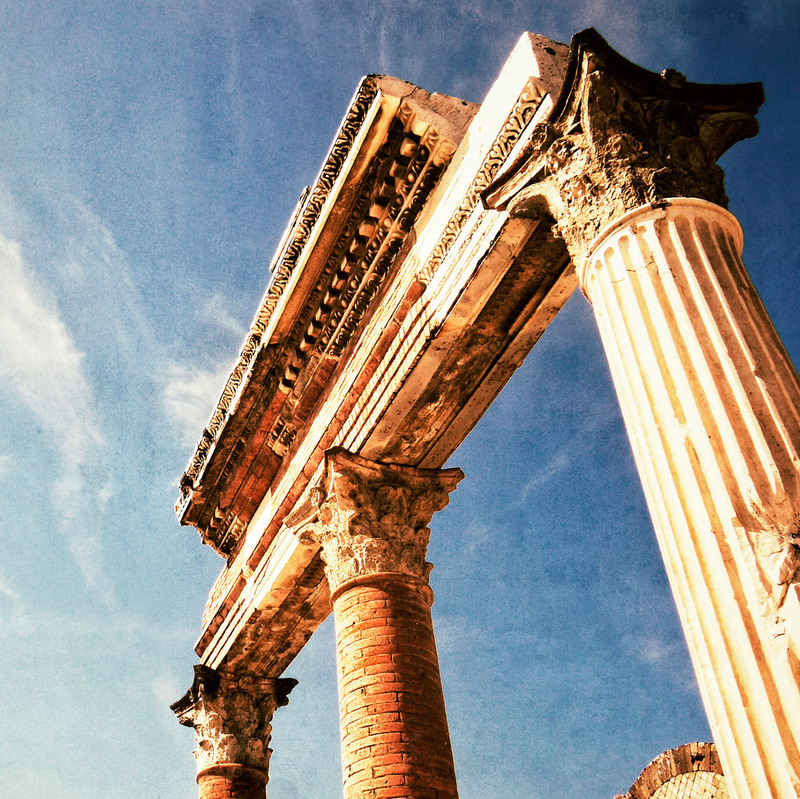 Ideal place for a stay to discover the archaeological wonders of Herculaneum, Pompeii and the natural heritage of the Vesuvius National Park . 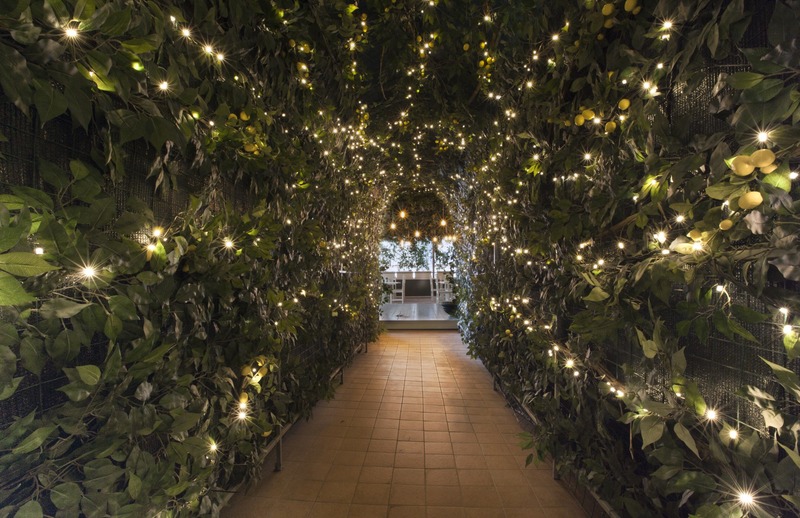 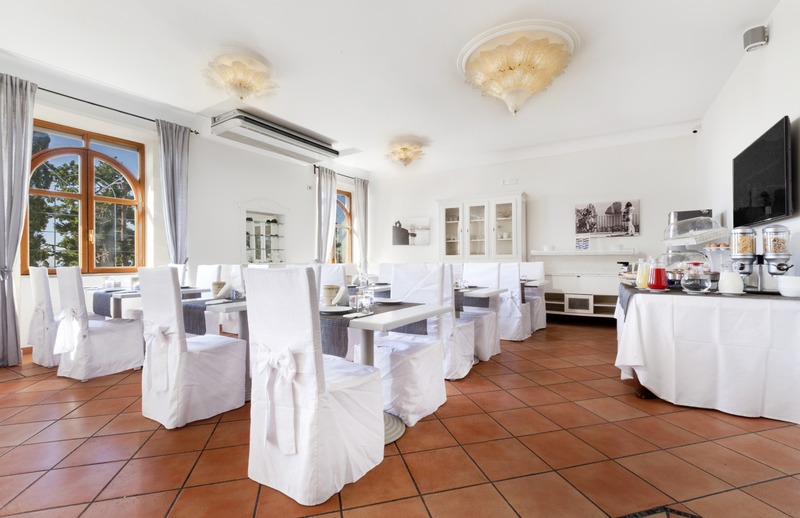 Between Vesuvius and the Tyrrhenian Sea , in the heart of the Gulf of Naples, a modern and cozy three-star hotel set in a unique heritage of history and world culture. 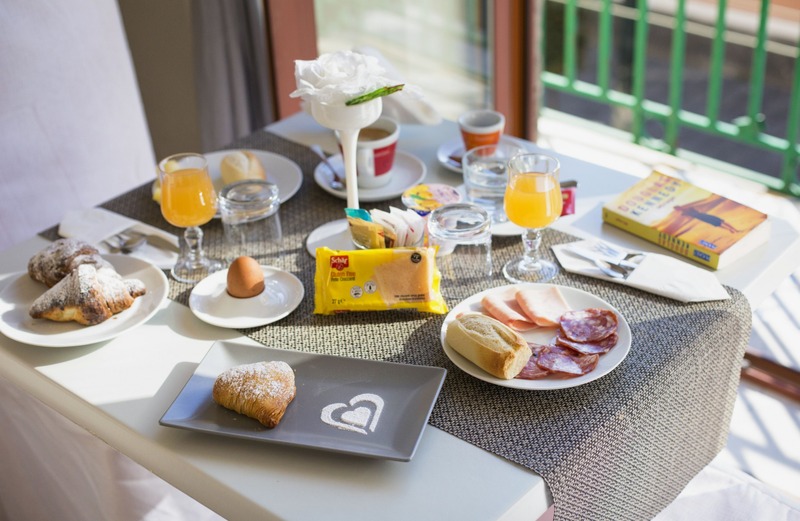 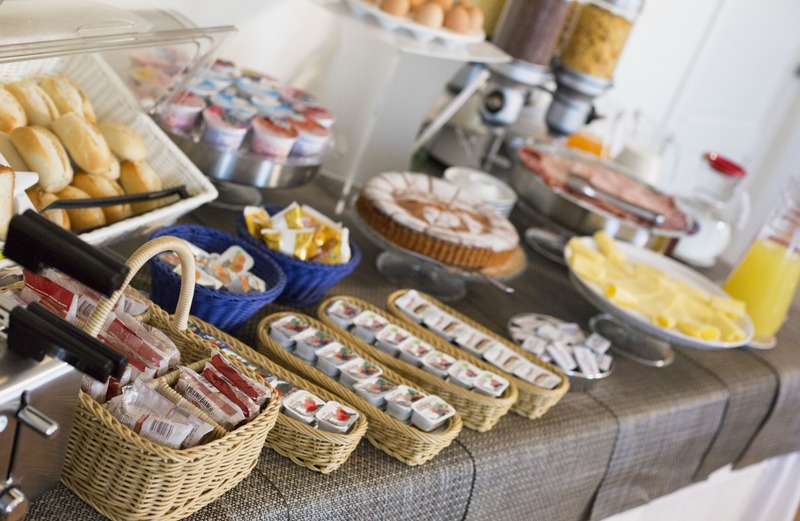 At the breakfast buffet you will find a continental breakfast full of goodies like croissants, biscuits, cakes and homemade pastries, fruit, yogurt, milk, tea, coffee, cereal, juice, jam, Nutella, eggs, meats and sausages. 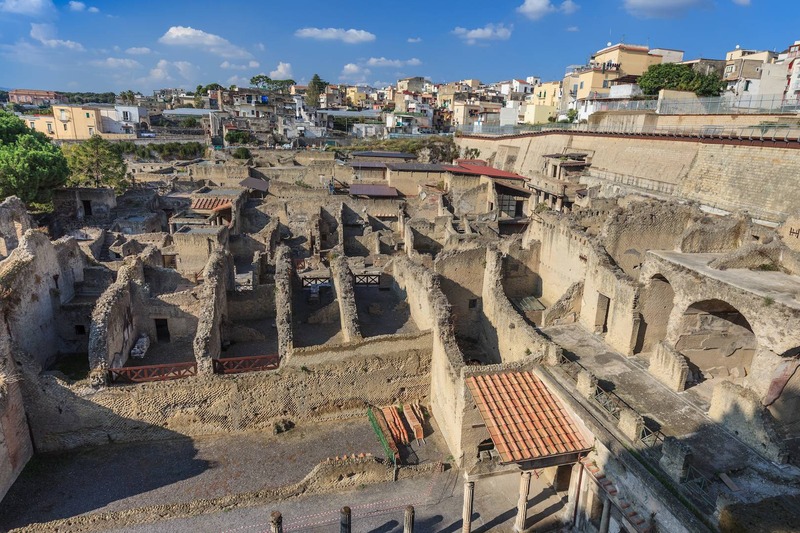 In fact the hotel rise up in front of the archaeological site of the ancient Roman city of Herculaneum, a place of residence of important Roman families until the terrible eruption of August 24, 79 AD. 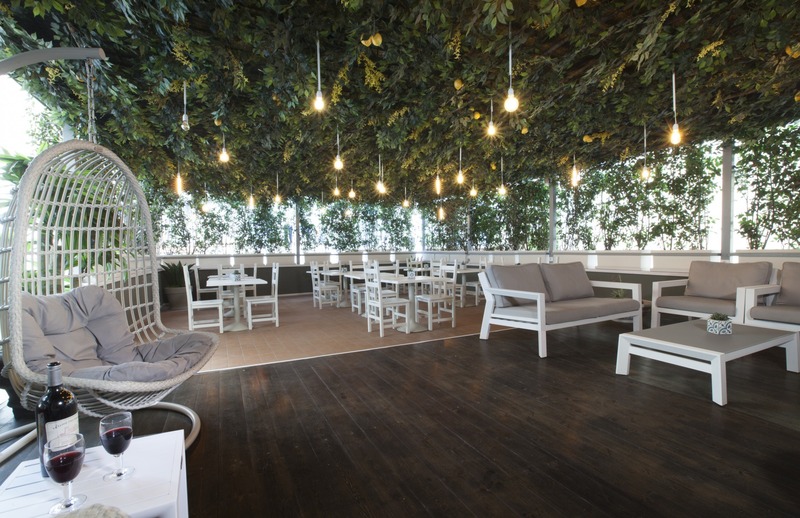 At sunset it is fantastic to spend some time on our terrace surrounded by greenery. 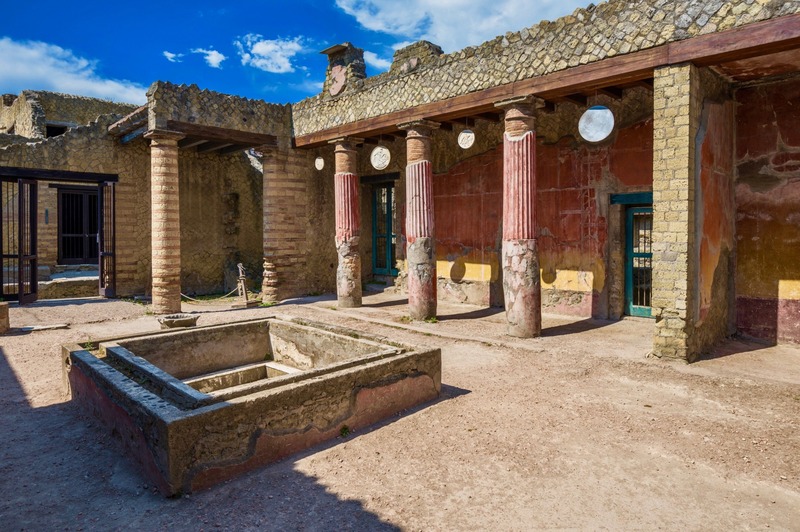 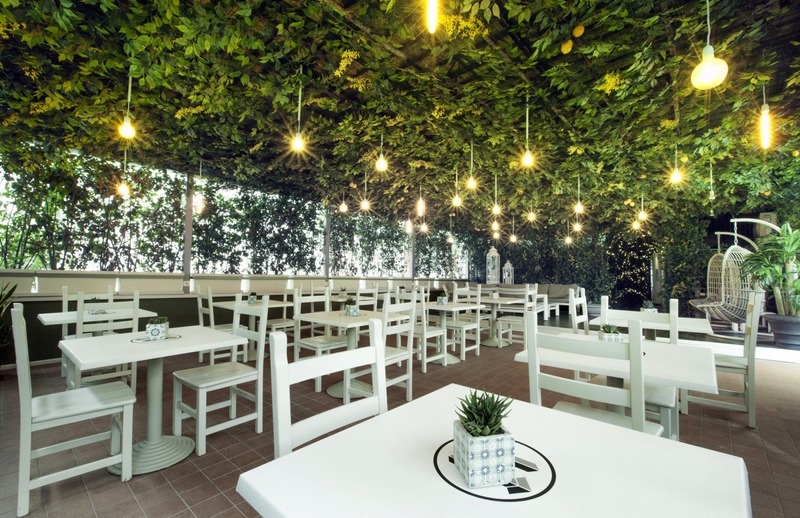 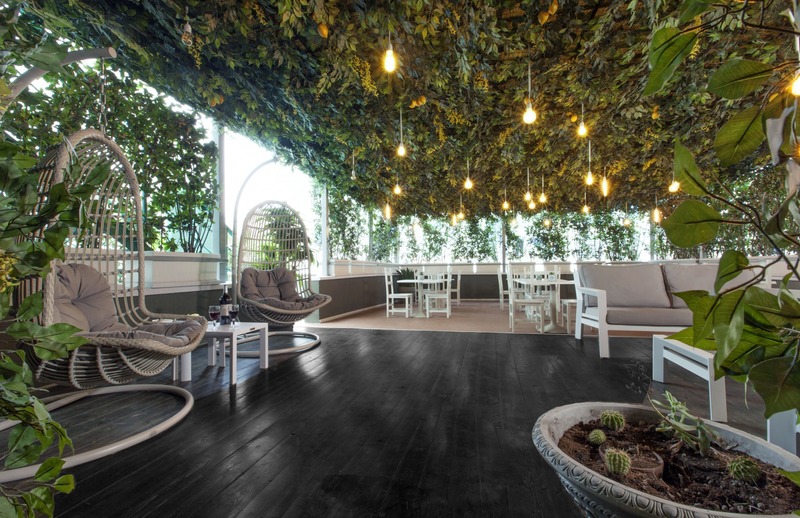 A real refuge where you can sip wine and relax after a day spent visiting the archaeological cities of Herculaneum, Pompeii and the Vesuvius National Park.